Extend your GitHub workflow beyond your browser with GitHub Desktop, completely redesigned with Electron. Get a unified cross-platform experience that’s completely open source and ready to customize. By downloading, you agree to the Open Source Applications Terms. 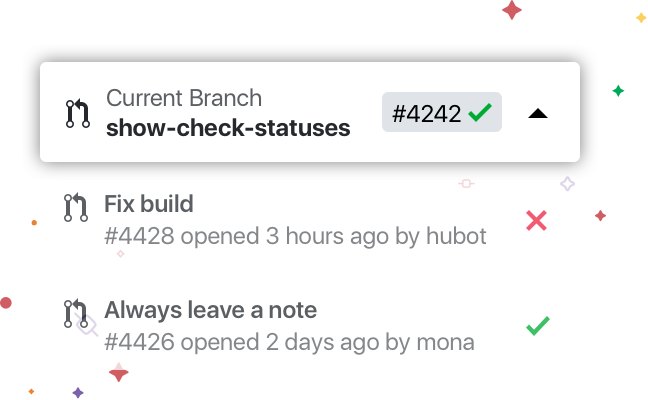 See all open pull requests for your repositories and check them out as if they were a local branch, even if they're from upstream branches or forks. 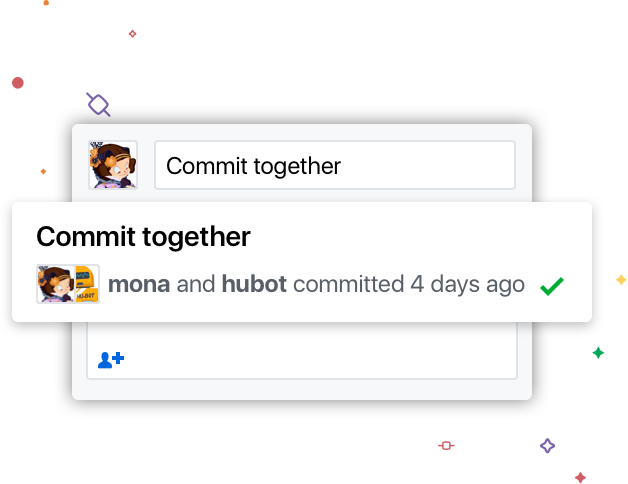 See which pull requests pass commit status checks, too! 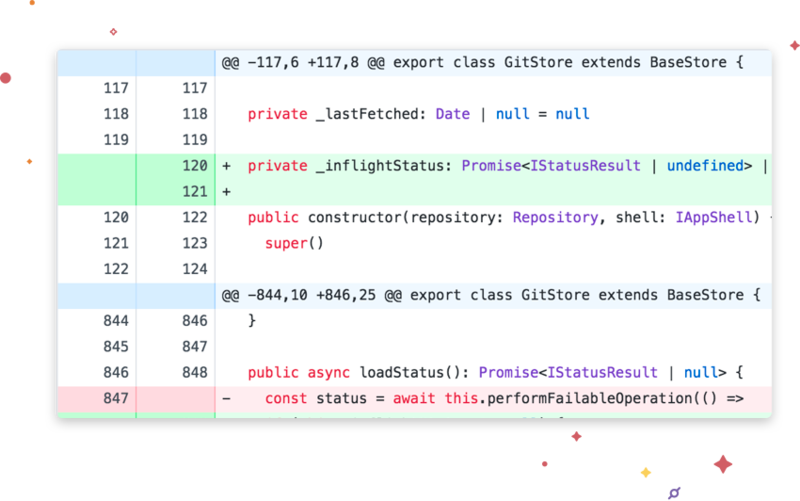 The new GitHub Desktop supports syntax highlighting when viewing diffs for a variety of different languages. Easily compare changed images. See the before and after, swipe or fade between the two, or look at just the changed parts. Open your favorite editor or shell from the app, or jump back to GitHub Desktop from your shell. 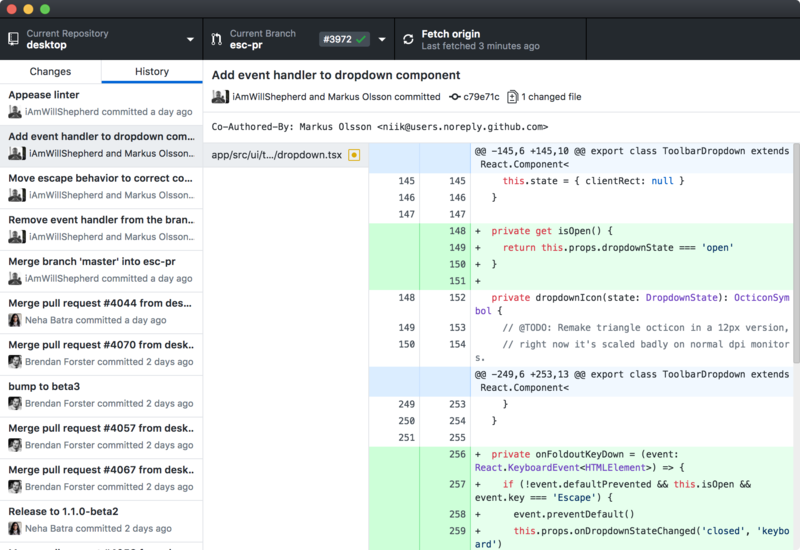 GitHub Desktop is your springboard for work. 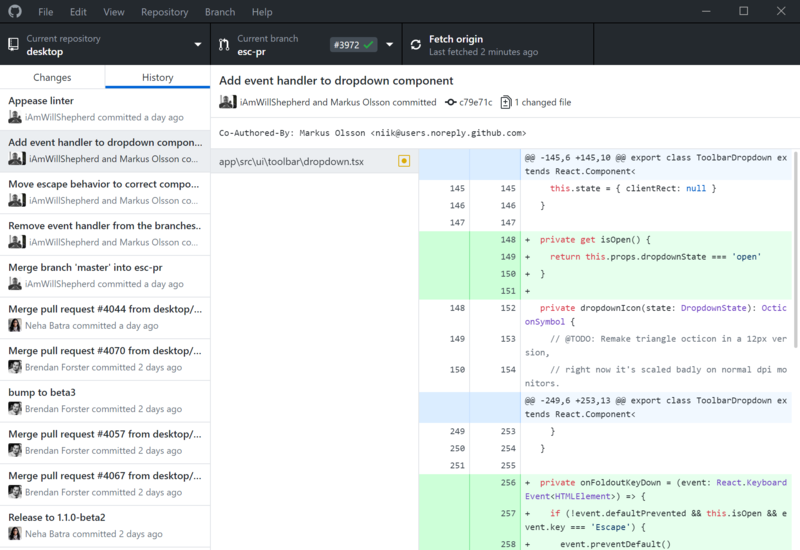 GitHub Desktop is open source now! Check out our roadmap, contribute, and help us make collaboration even easier. Your repositories are not automatically imported from Desktop Classic but you can drag & drop the repository folders to continue working with them in Desktop Electron!